GWERU - The success recorded by the Command Agriculture Programme provides sufficient grounds to believe that an extension into Command Livestock Programme will give more impetus to the country's drive towards food security and economic growth, Vice President Emmerson Mnangagwa has said. 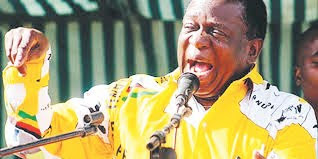 Addressing a public lecture at Midlands State University (MSU) in Gweru recently, Mnangagwa said the purpose of Command Agriculture was, among other things, to ensure food security and maize supply self-sufficiency as well as to reduce grain imports. The address, titled 'Command Agriculture in Zimbabwe: Myths, Lessons and Future', touched on issues of what needs to be done from now going forward. "Cabinet recently authorised that we proceed with the Command Livestock Programme targeting beef, dairy and poultry, and the production of associated equipment. "The timing of these events is such that the livestock sector will benefit from the high grain production this year, through stock feed. "This will trigger economic activity as agro-processing companies, transporters and retail and related services will be distributing to farmers, creating additional employment," Mnangagwa said. Analysts are convinced that if implementation of the Command Livestock Programme is properly managed, the country could restore its erstwhile status as one of the prime beef producers of the world. "Going forward, I want to challenge all scholars, policy makers, agronomists, agricultural planners, nutritionists and national security establishments to draw lessons from progress made so far in order to further enhance the success of the programme with a view to extend it to other agricultural sub-sectors like high value crops for export among other items," Mnangagwa said. Challenging universities to be centres of excellence for agricultural innovation, research and development, Mnangagwa also said government was aware that factors like irrigation and mechanisation, soils testing and water harvesting were critical for successful food security initiatives.